Henderson, NV is home to many wonderful neighborhoods! It is located in the southeast part of the valley and has easy access to the 215 Beltway, the I-15 and the 515 freeway. It is also closer to the Lake Mead recreational area and to quaint Boulder City, NV. Henderson has a population of over 300,000 and is home to several highly ranked public schools. 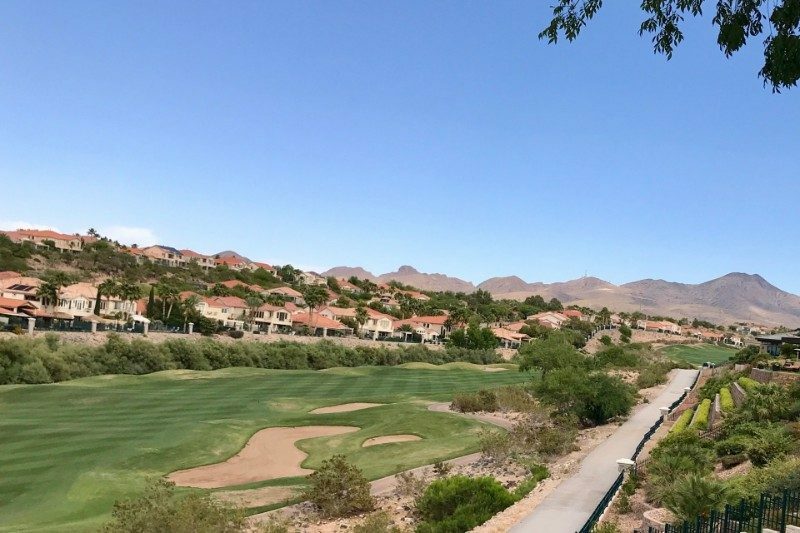 It has a variety of master planned communities including Anthem, Green Valley Ranch, Seven Hills, Cadence, Tuscany, Inspirada, and Lake Las Vegas. 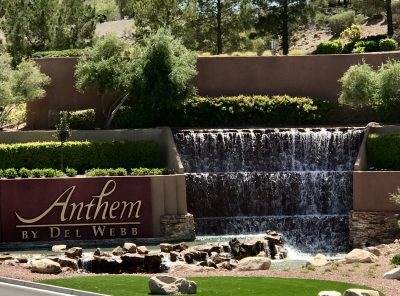 Anthem is a 4700 acre master planned community that includes Anthem Country Club, Anthem Highlands, Coventry at Anthem, Madeira Canyon. It also includes two age restricted retirement communities of Sun City Anthem and Solera. What I love about Anthem: The views of the valley and nearby shopping and restaurants. Green Valley Ranch is a 1310-acre master planned community that was completed in 2002. It features a carefully planned mix of land uses with over 4,000 homes. Recreational amenities include beautiful parks, lots of open space, walking, jogging and bike paths and the Henderson Paviliion, a performing arts pavilion that is next to the Henderson Multigeneraltion Center with its indoor and outdoor aquatic center, library and gym. Also located in GVR is The District with lofts and office space above ground floor shops and restaurants and the upscale Green Valley Ranch Resort/Hotel/Casino. There are many houses of worship, two corporate centers and neighborhood shopping centers making GVR a convenient and easy place to live. It’s GREEN everywhere and the many community events at the Henderson Pavilion. 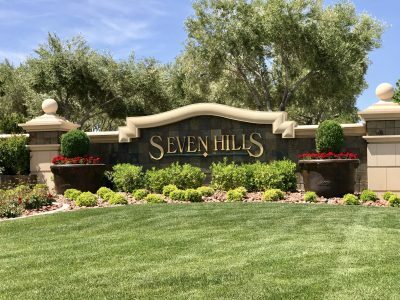 Completed in 2003, Seven Hills is a master planned community located on 1,300 hillside acres in the rolling foothills of the Black Mountain Range. There are approximately 2500 homes throughout its 25 neighborhoods some of which are guard gated. There are four large city parks located with Seven Hills as well as many miles of bike paths. The many hills and interesting ways the neighborhoods are laid out. Cadence is a 2200 acre project in eastern part of Henderson. Ultimately over 13,000 homes are planned for this master plan. It will also feature a hotel/casino and several schools. Its affordability for families and first home buyers. Located in the south part of the valley, Inspirada is in the process of being developed and will ultimately have about 8000 residences. The development boasts of 85 acres of parks and is very family themed. The project totals about 2500 acres and is extremely close to McCarren Airport and the I-15 which provides access to the south Strip in just minutes. Its family atmosphere and community events. Tuscany is a Rhodes Homes development that is guard gated and built around a public golf course designed by Ted Robinson. It is very similar to Rhodes Ranch in the southwest part of town but the theme is decidedly Tuscan. There is a 35,000 sf clubhouse, La Vita Tuscana, offering tennis, basketball, hobby rooms, pool and spa and many other amenities to the residents that is included in the very modest HOA fee of currently $175.00. The homeowners get so much included for a relatively low HOA fee. 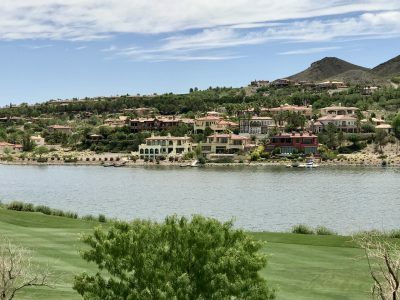 Lake Las Vegas is a 3592 acre master plan community centered around a 320 acre man-made lake and two golf courses – the public Reflection Bay and the private South Shore Golf Club which were both designed by Jack Nicklaus. There are also two resorts, the Westin Lake Las Vegas Resort and Spa and the Hilton Lake Las Vegas Resort and Spa. There is also MonteLago Village with a grocery store, restaurants and shoppes. Homes range from condominiums and townhomes to single family homes that range from 1500 sf to well over 10,000 sf. There are currently approximately 2000 residences at Lake Las Vegas but they are allowed up to 8000 homes. There are a number of new home developments and the addition of a new elementary school, the nearby Henderson Hospital have spurred home sales in the area. It has a elegant resort feel and the wonderful views of Lake Mead.